It is true that as children grow their appetite can ebb and flow, matching whatever stage of growth they’re in. But there are some children who develop fussy eating habits that become a stress, and concern, for their parents. 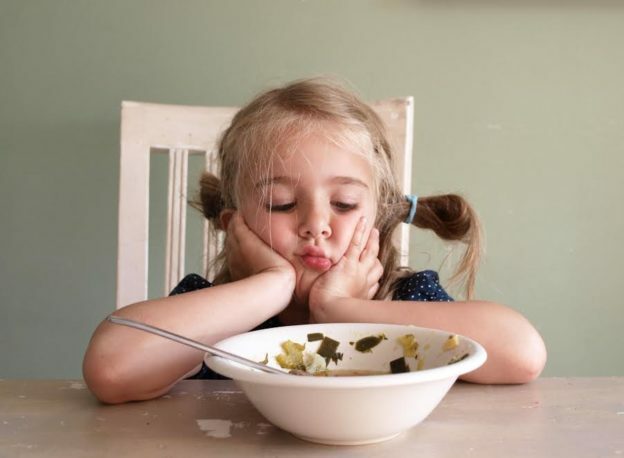 For some children, fussy eating is considered a phase that will pass, and for others it is associated with developmental conditions such as autism. What we hear less about is: What causes fussy eating to begin with? And, what can be done about it? Fussy eating can be aggravated by feeding children refined foods and sugars that have additives, preservatives and flavouring that immediately please a child’s taste buds and charge the chemical receptors in the brain. A child can become used to these sensations and, as a result, avoid whole foods (vegetables, whole grains, etc.) that don’t give this immediate rush. A less obvious, and somewhat ironic, reason for fussy eating is also nutrient deficiencies. Nutrient deficiencies cause our body to seek out certain foods that it thinks is high in the nutrient it’s lacking. However, the body isn’t always on the mark with its selection. For instance, when someone is low in iron, they may crave chocolate because it’s high in this mineral. For others who are low in protein and experiencing fatigue, they may inadvertently crave sugar for its immediate energy boost. And, one of the symptoms of zinc deficiency, for example, is a loss of taste. (A zinc deficiency is among the most common mineral deficiencies in people, including children.) Therefore, if a food is bland to taste, it may trigger fussy eating behaviour. While it is of course true that your child may simply just be a fussy eater, there are often incidents when it’s the body’s way of telling you something. Learn ways of getting extra nutrients into a child’s diet. Some people blend greens into a pasta sauce, others add avocados to homemade frozen yoghurt. There are many, many ways! Avoid feeding your child refined and processed foods. Not only can children grow accustomed to these wild tastes (as per above), these foods also offer very little to no nutritional value. And what’s worse is that they are high in toxins. Therefore these “non foods” may rob the body of whatever nutrients it already has stored, in order to break them down and eliminate the toxins, which may further deplete the child’s body. Assess your child’s digestive and intestinal health to ensure he or she is absorbing the nutrients they are eating. If there is a chance of any digestive issues (bloating, gas, tummy aches, allergies, diarrhea, eczema, brain fog, etc.) then they may not be absorbing the goodness you are providing for them in their diet. Of course, all these suggestions are true for us adults as well. Number one: working towards a clean, whole foods diet is key, for both wellness and for the enjoyment of eating real food, at any age. And number two: making sure your digestive system is optimal, because it’s not just what you eat that matters, but how well you’re absorbing it that counts, too. This entry was posted in food, fussy eating, health, Tips on November 10, 2016 by vitalia.